Hi all! 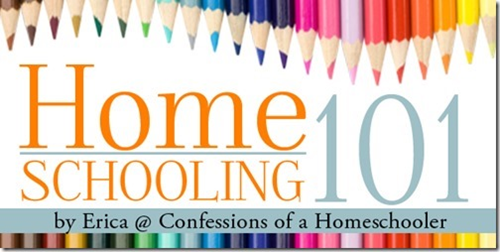 I’m back today with another exciting Homeschooling 101 post. Today we’re talking about homeschooling burnout. It happens to the best of us…and I’d even venture to say that it happens to all of us at one time or another. It is commonly referred to as “homeschool burnout”. The responsibilities of the homeschooling parent can be overwhelming at times, and the thought of another day or even another hour of homeschooling can seem like more than we can handle. I once had someone tell me that moms who get burnt out just weren’t serious enough about homeschooling. You can imagine how that affected me when I hit burnout that first year! The first thing I want to say is that “friend” was wrong. The second thing I want to say is that feeling burnt out is totally normal. Unfortunately life isn’t always a smooth sailing ship, and we can all get overwhelmed at times. Homeschool burnout happens to all of us at one point or another. The key is to learn how to overcome it. Your child might be having a hard time with a particular subject, and your patience might be worn thin. Maybe a certain curriculum choice isn’t working out as you’d originally planned. The thought of shipping your child off to school might have entered your mind once, twice, or even several times within the last few minutes. There might also be outside factors that are making your homeschooling situation more difficult than normal, as well. The addition of a new baby, an illness, change of career, or moving to a new home can all contribute to a more than average stress level in the homeschooling parent. If you are experiencing a form of burnout, there are things you can do to help minimize the stress you are feeling. I wrote a post on Curing the Homeschool Blahs and you’re welcome to check it out for some great practical things you can do to get your homeschool groove back on! The first thing I suggest is to pray. Take some time to seek God in this moment and honestly listen to what His plan for your family is. Depending on your situation, a break might be in order, or maybe adjusting some of the things you are doing will help minimize the load. Secondly, take inventory of things you can control. While certain things are out of our control, there are usually some things we can control to help with the situation. If you look closely there are probably outside factors that are contributing to your feeling of exhaustion. They might not even have anything to do with homeschooling at all. For example over-scheduling activities, unrealistic expectations of yourself, over committing to things outside the home, trying to stick to an unrealistic schedule, lack of support, unrealistic expectations for your children, and trying to be super mom, can all cause us to eventually burnout. Take a look at my Super Mom vs. Abiding Mom chart to see which camp you fall in. The good news is that homeschooling is flexible! We can modify our schedule if needed, or decrease the subjects we do each day. We can rearrange our daily load, adjust our lessons, or even cut back on their frequency if needed. We can even switch to another curriculum if one is causing a particular amount of stress and anxiety for us. Take some time to pray over the verses on the following pages and ask God to help you make any necessary changes so that you’re abiding in His will for your family. 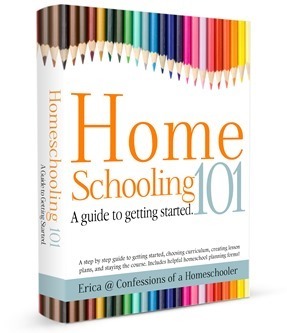 For more information on homeschooling check out my Homeschooling 101: A guide to getting started! Great post! Also I find that when my husband and I are ‘bickering’, and it hasn’t been resolved by the time he heads off to work, there is a LOT more stress on the day, and homeschooling is the last thing I feel like doing. Mental burnout!! I have a 3 year old son and 1 year old daughter and I want to start homeschooling, but I was thinking that it might be easier to start when my son will be 5 maybe, and my daughter will be 3. What are your thoughts on this? Is it a good idea to start both of them at the same time and just give one work while I help the other and so on? I have a sister also. I want her to start homeschooling. Do you have a suggestion what should I do first?